August 4, 2015 August 5, 2015 / Rachel C.
I am especially sad that I didn’t have the time to do my original idea for this one! I really wanted to to a Super Smash Bros style Peach versus Zelda showdown. 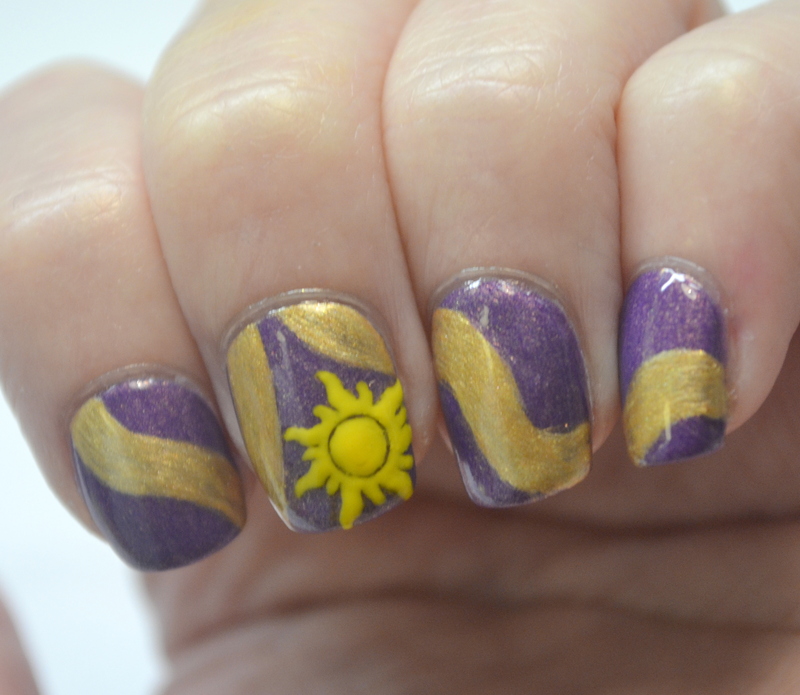 But I wouldn’t have been able to do justice to the necessary level of detail for that, so did some Tangled-inspired nails instead. 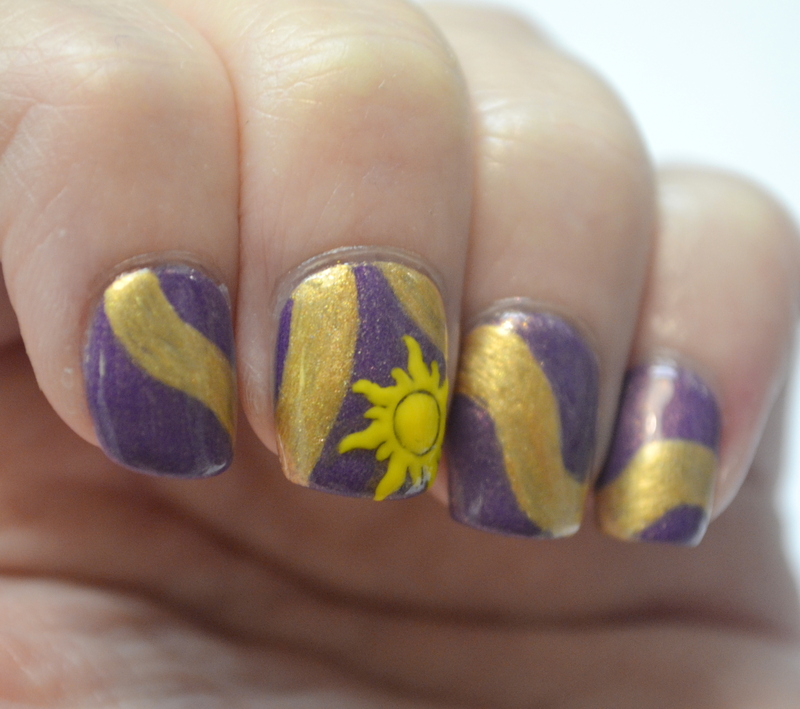 Rapunzel’s hair flowing across the nails, plus the kingdom’s sun crest. And I have to say, Renaissance Cosmetics Kensington was the perfect choice of polish for the background color! 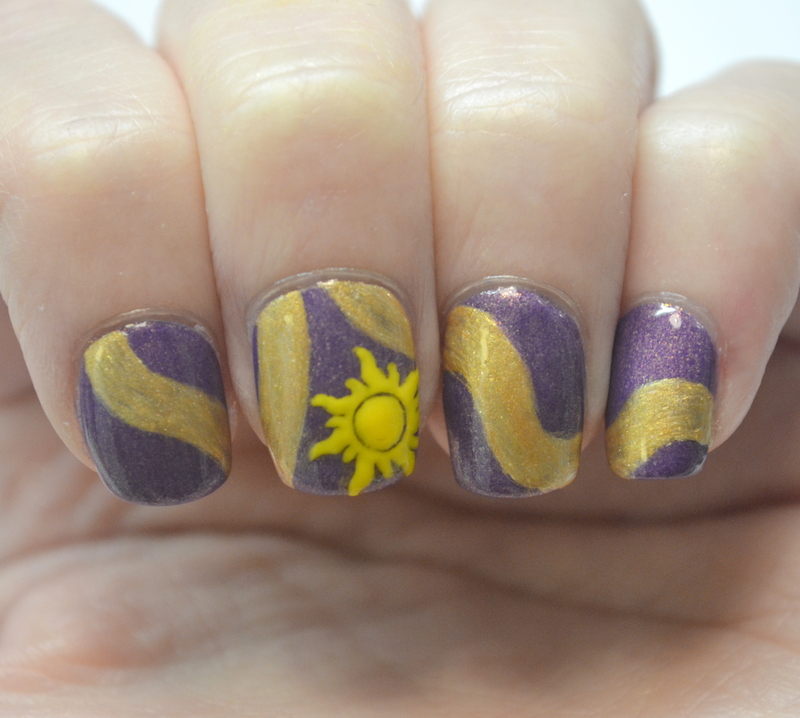 Purple/violet is sort of the color associated with Rapunzel (since both her dress and the kingdom’s flag are shades of it) and Kensington has that nice gold shimmer to tie in to the nail art itself.